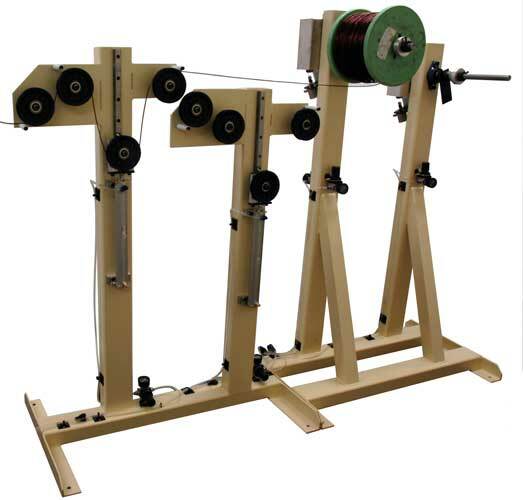 The tensioning device provides wire tension by applying a braking force to the wire spool, eliminating the possibility of causing damage to the wire insulation. 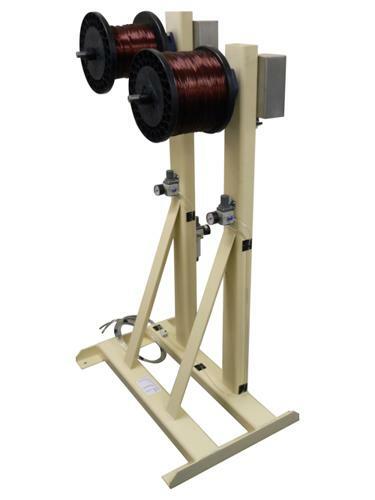 Horizontal de-spooling prevents twists in the wire, and the device is recommended for use with wires from 1.5mm to 3mm Ideal for Litz (multi stranded) wire. 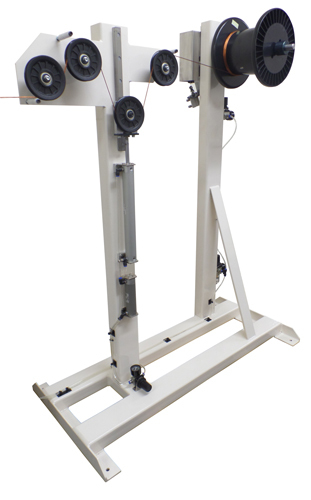 The accumulator device allows tension to be controlled, removing up to 300mm of “slack” or “Back” tension, caused by long flat sides of the bobbin, or if the operator needs to un-wind turns during the process. 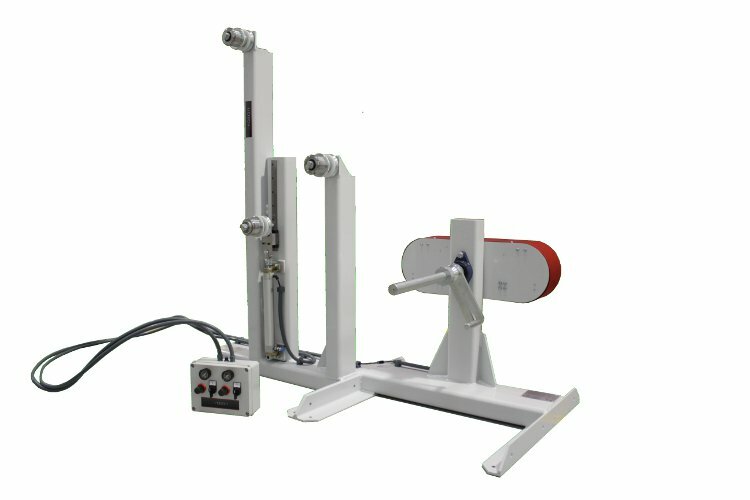 Wire tension is adjusted by simple pneumatic controls. Both the tensioner and accumulator can be switched on and off remotely for maximum operator convenience, i.e. tension is released at the end of the winding to allow the operator to terminate the wire, and is then re-applied for the next winding. The model in the picture is for 1.5mm to 3mm, however we can build custom varieties as per your specifications.